Norma Lang Steuerle, of Alexandria, Virgina, drove her convertible with the top down, relished a day at the beach, and loved reading and travel. She lived with an energy and zest that others admired. 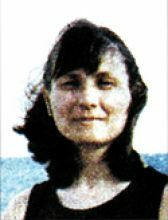 Norma was 54 years old on September 11, 2001. A clinical psychologist working with women and children suffering with depression and ADHD, she was described as "a particularly gifted therapist" who deeply connected with her clients, putting them at ease and providing undivided attention. While she was singularly-focused in her profession, friends and family describe her as constantly busy, doing everything with enthusiasm and purpose, whether she was volunteering for causes she believed in, dedicating time and talent to Blessed Sacrament Catholic Church, or attending sporting events when her daughters - Lynne and Kristin - were in school. She attended Dayton University, then graduated at the top of her class from Carnegie Mellon University with a degree in psychology. She received a master's degree from Temple University, and her PhD. in social psychology from University of Wisconsin Madison in 1975. According to friends, Norma met her husband, Gene, while attending Dayton. The two dated for a while, but Norma broke off the relationship, "left Dayton to be closer to another guy, and to attend Carnegie-Mellon." Apparently, after realizing the error of her ways - and giving full credit for Gene's persistence - the two were married after he returned from Vietnam in 1970. The couple's first daughter, Kristin, was born in 1973, and their second, Lynne, followed in 1977. Norma's family brought her great joy and pride, and she was excited to board American Airlines Flight 77, which would take her through the first leg of a trip during which she planned to meet up with her daughter, Kristin, a Navy doctor in Okinawa. She'd then connect with Gene, who was traveling in Japan on business. Together, the three planned to visit Thailand, where the couple would celebrate their 31st wedding anniversary. Flight 77 was hijacked and, at 9:37 a.m. on September 11, 2001, crashed into the Pentagon. Please pray for Norma's family and friends, who lost a vibrant part of their lives on that tragic day.